Have you played through The Awesome Adventures of Captain Spirit? Shacknews walked away with a handful of questions to think about before Dontnod Entertainment's next story, Life is Strange 2. The following contains spoilers for The Awesome Adventures of Captain Spirit. Those who have not played this game are advised to come back later. 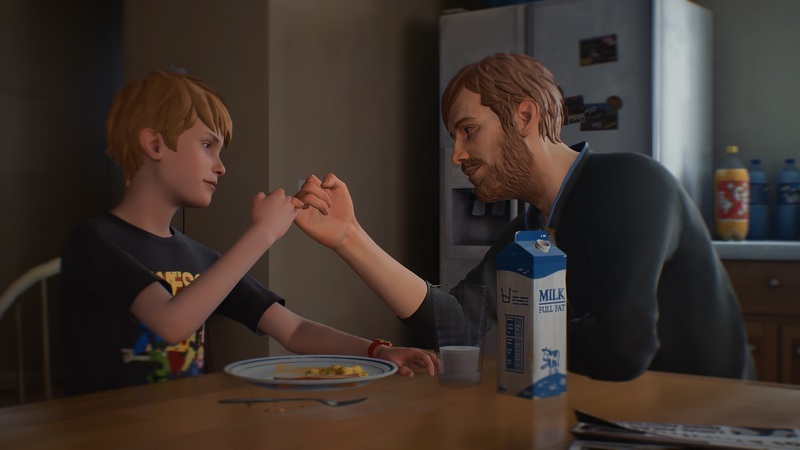 The Awesome Adventures of Captain Spirit is a whimsical journey into the imagination of a young boy, but it's also a window into a troubled youth. Chris is like an average kid in many ways, waking up on a Saturday morning with the whole world before him. But players were also witness to just how tumultuous his living situation is, living along with a father who's falling deeper into alcoholism by the day. 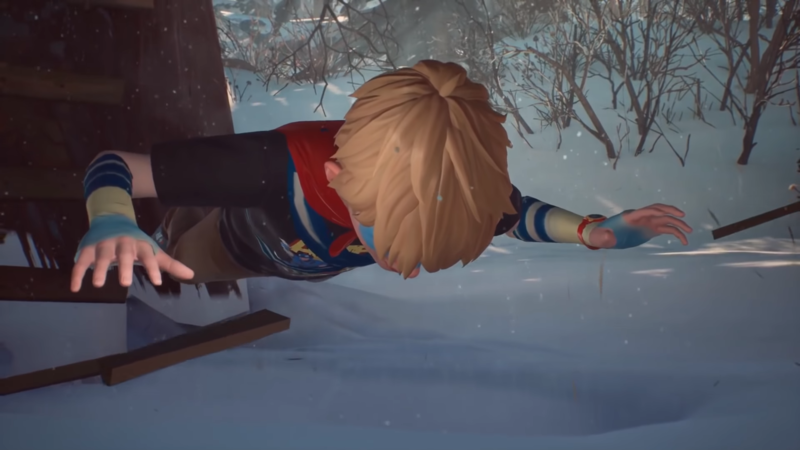 Those who have played the full game saw that Captain Spirit will not only lead into Life is Strange 2, but Chris will also be a big part of the game. In fact, he could be considered the upcoming game's main character. 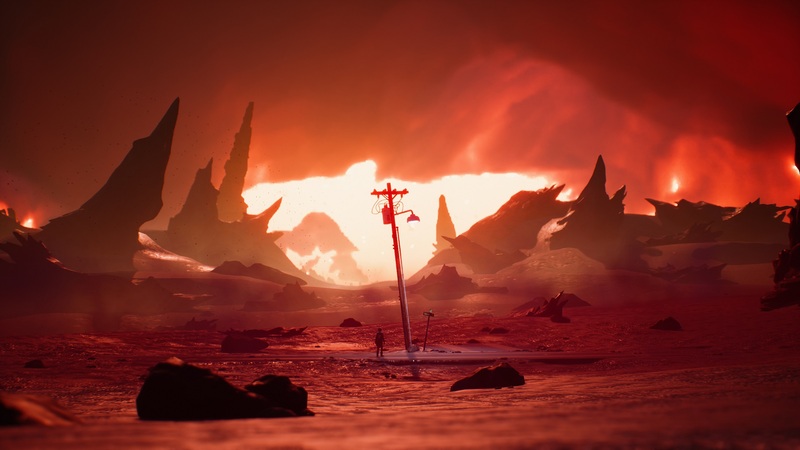 So while our review noted that it can be enjoyed as a standalone story, there are enough seeds planted for the future to the point that Shacknews has a couple of questions. Let's pose a few of those right now. Where Did Chris' Bruise Come From? This is one of the more unpleasant questions, right out of the gate. When Chris goes down to breakfast, his father, Charles, makes sure to check on his arm. Chris has a nasty bruise, with his dad noting that it still hasn't healed. A young boy like Chris can rack up bruises doing just about anything. He could have gotten it while playing, he could have had a mishap, or he might have even gotten into a scuffle with some bullies. After all, players do discover over the course of the game that Chris has been disciplined by the school for getting into a physical altercation with one of the other kids, who was mocking his father's job loss. Then there's the other far more unsettling idea that Chris' father is physically abusing him. This is raised as a possibility when Charles asks Chris is anyone has asked about it, his approach indicating a degree of guilt. It's made all the more plausible by Charles' rampant alcoholism that's only gotten worse since he lost his job and since Chris' mother died. His father clearly has impulse control issues, judging by the way he casually swears around Chris and the way he bursts into fits of rage. Alcohol isn't the sole cause of anyone becoming violent towards loved ones, but it does give alcoholics a big push. The idea of Chris being abused is heartbreaking, but it's not out of the realm of possibility. And situations like this rarely just "get better." If Chris' father is physically harming his son, that situation is only going to get worse, more violent, and much harder to watch. Would Chris and His Father's Relationship Reach a Point Where They Need to be Separated? The idea of child abuse naturally segues into the question of whether Chris would need to be separated from his father. But ideas like this are never simple or straightforward. It's important to have the child's best interests in mind, but also have some respect for what the child wants. And in this case, Chris can't see himself leaving his father's side. Players likely found a letter from Chris' grandparents, urging his father to let them take custody of Chris full-time. Chris responded with his inner monologue, saying that while he loves his grandparents, he doesn't want to leave his father. And that's the root of Chris' thought process regarding this issue. It's a matter of abandonment. Captain Spirit takes place shortly after Chris' mother passed. His father is in a vulnerable place, having lost his wife and his job in a short time span. He's spiraling into alcoholism and in desperate need of support. If Chris were to be separated from his father, he'd feel like he's abandoning him at his greatest time of need. But at the same time, putting all of that pressure on Chris is unfair to the child. At some point the onus needs to be on his father to pick himself up and find a more constructive way of dealing with what life has thrown at him. For the sake of his relationship with his son, he has to, because there are others who love Chris and are willing to take care of him if he isn't. Was Chris' Mother a Victim of Foul Play? 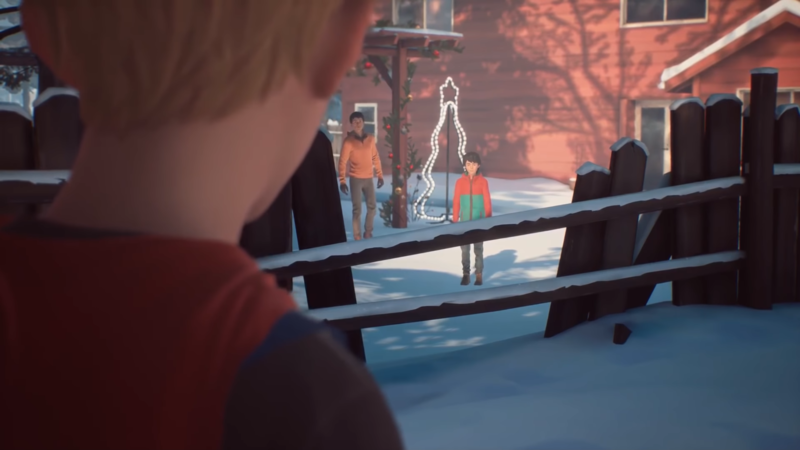 The mystery of what exactly happened to Chris' mother is one of the most captivating angles in Captain Spirit. There are constant references made to Chris' mother and how she's gone, but it's never explicity stated what exactly happened. That changes once players finally get the combination to the locker in the garage. There's where Chris discovers that his mother died after being struck down by a car. The incident is being looked at as a homicide and the investigation is ongoing as the game is unfolding. The circumstances of Emily Eriksen's death leave a lot of questions. It's noted that she had abandoned her car and that she was struck head-on by a speeding car, with police concluding it was an intentional act. Players can start to piece together exactly why this happened as they look through Emily's backstory. Many items in the house point to her as a brilliant cartoonist, one who stopped short of reaching her full potential as she dropped out of school and focused on her family. Players also look into Chris' father and his past as a basketball star, as well as a black book that implies he's into underground gambling. It's not out of the realm of possibility that Emily's death is tied to outstanding gambling debts or to enemies that Charles made over the course of his basketball career. The most intriguing possibility pops up when Chris discovers one of his mother's old art books from Mark Jefferson. Yes, that Mark Jefferson, the man behind Rachel Amber's murder who racked up a list of victims while carrying on the facade of a kindly photographer. The idea that Emily would fall in with Jefferson and wind up in his Dark Room, only to get struck down by a car while attempting to escape is entirely plausible. In fact, the coincidences line up so well, it has to be a red herring. But this would be some way to tie the two Life is Strange games together, wouldn't it? Does Chris Really Have Powers and What Does it Mean That His Neighbors Witnessed Them? Life is Strange is not a sci-fi, fantasy, or supernatural game, as Dontnod has made explicity clear over the past several years. However, they're perfectly fine with using a fantasy or supernatural element as a plot device to push forward a grounded story. In Chris' case, he may actually have a superpower. Captain Spirit ended with Chris running away from his father and retreating to his treehouse. But one of the wooden rungs snaps off and he starts to fall, only to float in mid-air right before he lands. But while Max's time travel power was something she mainly kept to herself, Chris' power manifested itself in front of some of his neighbors, all roughly his age. 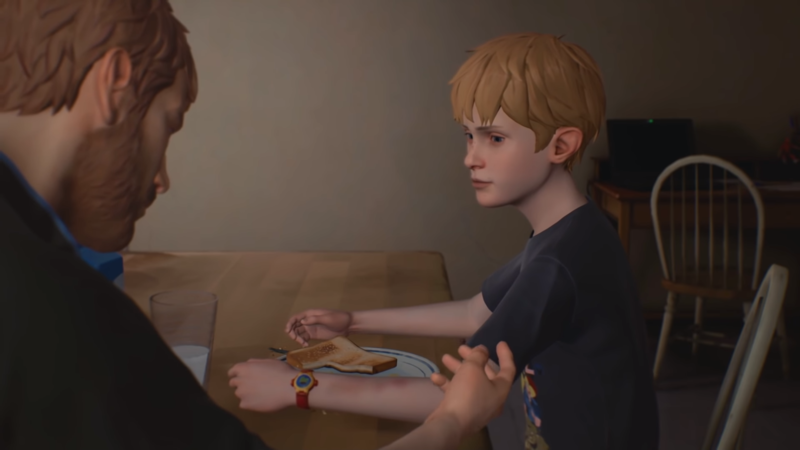 It's likely that Chris does have powers and they'll factor into Life is Strange 2 similar to how Max's powers worked for the first game. They'll be a central element, they'll be a method of pushing the plot forward, but they'll only be used in service to a grounded plot. How do his powers work? Consider that there was never an explanation given to how Max got her powers or how they came to be, so don't go into Life is Strange 2 expecting to get all of these answers. But what does it mean that there were witnesses to Chris' powers? This will likely serve as an introduction to Chris' supporting cast in the upcoming Life is Strange 2. They'll be there to show Chris that he's not alone with his problems and that he does have a positive support foundation beyond his father. But to carry the superhero motif forward, every good hero needs a team, meaning Captain Spirit may learn that he's not the only superhero on the block. Want more on Captain Spirit? You can revisit our E3 2018 chat with Dontnod Entertainment Co-Creative Director Michel Koch below. Be sure to also check out our E3 2018 interview with Dontnod's other Co-Creative Director Raoul Barbet. The Awesome Adventures of Captain Spirit is available now on PC, Xbox One, and PlayStation 4 free of charge. For 1. It seems obvious his dad abuses him.